By the age of three, Mitasha Palha had already touched on four different regions of the world. She was born in Manama, Bahrain to Indian parents who temporarily worked there before moving back to Goa, India. They decided to immigrate to the United States, making a brief layover in South Korea before ultimately settling in Brooklyn, New York where Mitasha and her older brother grew up. It’s no wonder then that the DREAMer has her sights set on international travel yet again. 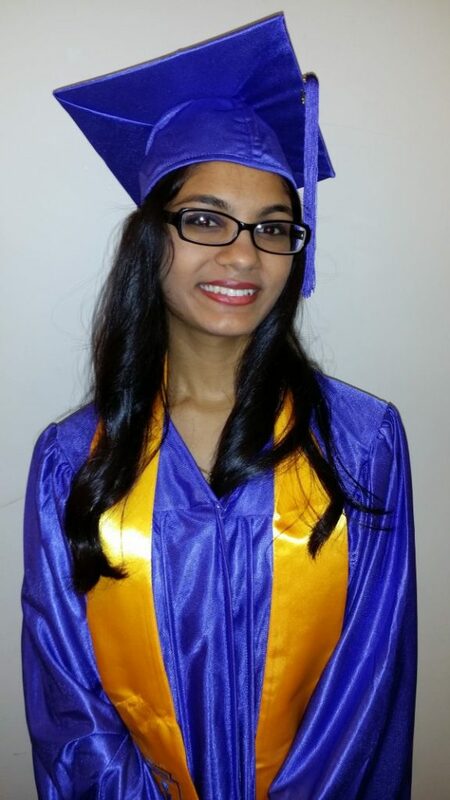 Mitasha attended The Brooklyn Latin School, where she excelled in academics in the International Baccalaureate Program, and served as the president of the National Honors Society. In extracurriculars, she played chess, competing against other schools, and for the past five years, she has been an altar server, lector, and teacher at her local church in Greenpoint, Brooklyn. One thing missing from her unique high school experience, though, was the ability to travel. “They had a lot of trips abroad that I couldn’t go to because I didn’t have a valid passport,” she says. Mitasha learned about TheDream.US scholarship via posters around her high school campus and knew immediately that it was the right fit for her. Now in her second year in Macaulay Honors College at Lehman, the experience has been fantastic thus far, partly because of their Cultural Passport program. “We were able to go on different trips and explore different parts of New York that honestly, I would have never explored on my own… [like] the City Center, the Brooklyn Academy of Music, the opera at Lincoln Center. Those experiences I really enjoyed,” she says.